The Transport and Mining Support People. 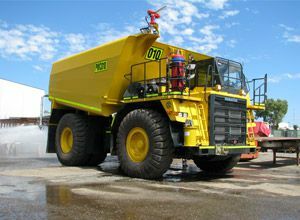 building and repairing Mining and Transport equipment since 1963. 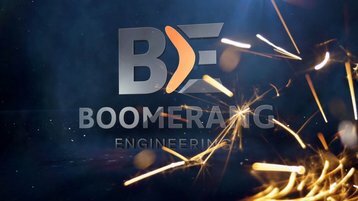 Boomerang Engineering builds a large number of different combination side tipping trailers that will meet your Mining and Transport needs. If you’re in the mining and transport industries, then you know the importance of having a stable trailer. When you’re looking for a quality trailer, there are three things to consider: strength, mass, and durability. If you’re in the market for a new trailer, you need a trailer manufacturer who understands these needs and goes above and beyond to meet them. Fortunately. Boomerang Engineering does just that. For general enquiries about our services, email us today. 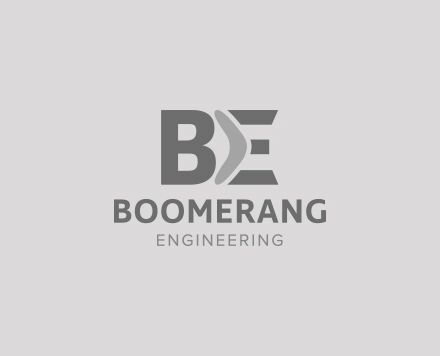 Boomerang Engineering started building and repairing mining and transport equipment in 1963. It steadily grew from a two-man operation and before too long, found itself riding the mining boom that lasted well into the 1970s. Our manufacturing service has grown to also include our own fifth wheelers and heavy duty trailer couplings. These days, our products can be found from Africa to south-east Asia and of course, throughout Australia. Boomerang Engineering is now regarded as one of the premier truck trailer manufacturers. Our client list reads like the ‘who’s who’ of the mining and transport industries, a large proportion of which, are repeat customers. Our ‘can do’, innovative approach has carried us through from inception and continues to prevail today. The company is still owned and operated by one of the original families that founded Boomerang all those years ago. 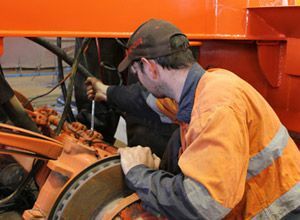 Boomerang Engineering boasts a fast on-time delivery service to Perth’s metropolitan area; with two full-time delivery vehicles operating we can keep your downtime to a minimum. If we don’t have the part you require, just ask and we’ll source it for you. Since the early 1970s, we have been manufacturing water tanks. From small to large water tanks that can handle up to 100, 000 litres, we stock them all. We can supply a fabricated water tank and can fully fit a unit with chassis-mounted tanks. 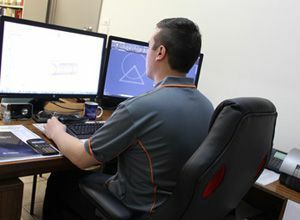 Whatever you need, Boomerang Engineering can accommodate your requirements. Our side tippers are favoured by the mining industry, hauling ore to crushing plants and stockpiles. Side tipping trailers are also exported overseas to many locations like Christmas Island and Indonesia. They are used in the coal and phosphate mining. We manufacture side tippers for light and heavy vehicles. We manufacture a comprehensive range of end tipping trailers in Australia, which includes bulk grain and bulk commodity. They are built to withstand long-term wear and tear. There are several choices in the manufacturing of end tippers, depending on the use. You can choose between steel, stainless steel, high strength steel, and aluminium construction. We design and manufacture a wide range of 5th wheelers / turntables. These are 100% made from Australian steel in our Perth workshop. We are the only company in Australia to manufacture 5th wheelers / turntables and these can be custom designed to suit your every requirement. These are also suitable for road train applications. We have a strong commitment to our customers and we’re continually upgrading our equipment, manufacturing and business systems to ensure that we remain innovative and at the cutting edge of our profession. For more information on our products and services, get in touch with our team. 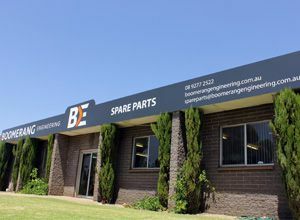 Boomerang Engineering carry spare parts for all of it's own manufactured trailers and equipment and spares for many other products. We also offer a fast and professional service to the transport Industry.